Known for its BBQ Irish duck, London Fat Duck at Raffles City has launched several new items in conjunction with the opening of this latest outlet. Of course, nothing will be enticing if it's not fat duck-related. 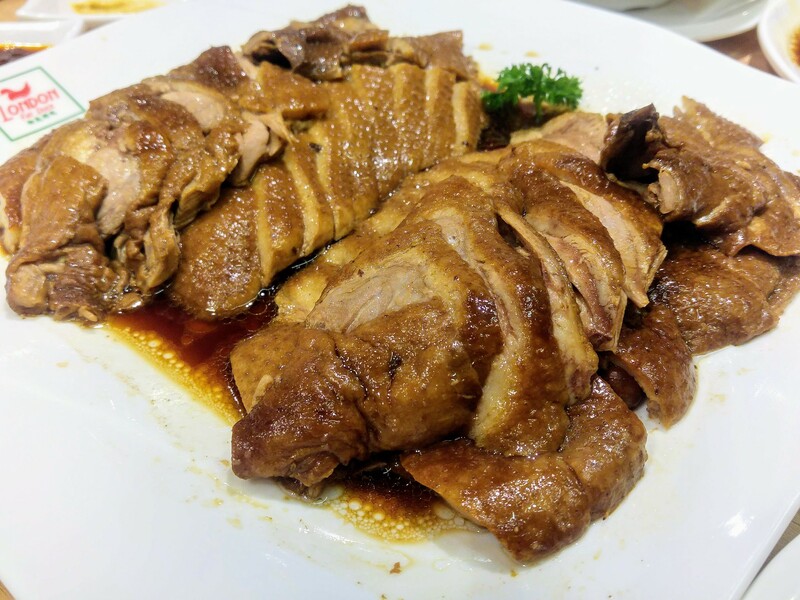 Using the traditional Teochew method, the Braised London Braised Duck ($58.80 Whole/ $32 Half) is exclusive to this outlet. Deboned and sliced, I could see that the skin and fats have softened and given way into the herbal braising gravy. Just lightly brown, the herbal fragrant and flavour are pretty distinct. My favourite pieces are definitely those with much fats underneath the skin over the leaner part. Aside than the drumstick, the other parts came across a little dry and a little gamey. The in-house special chilli sauce dip, redeems that with its piquancy edged with a sweet fiery kick. 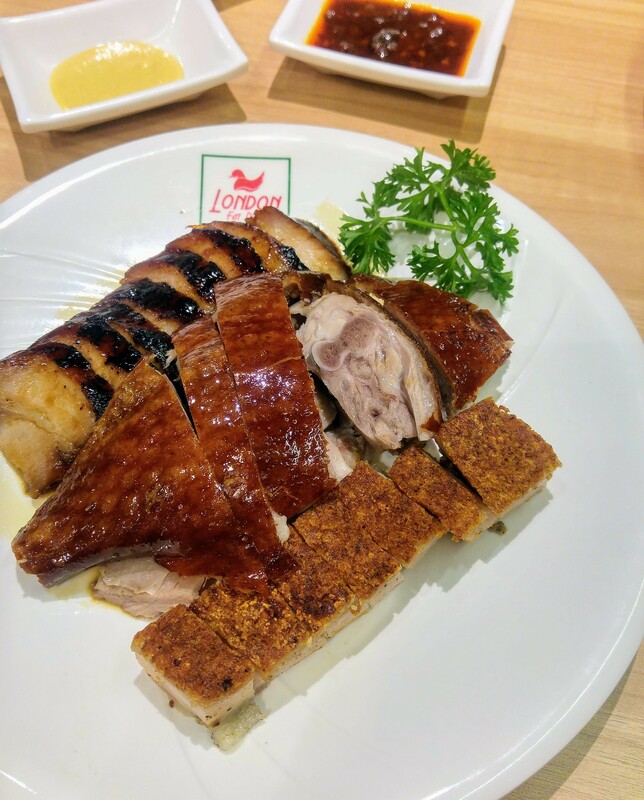 If you still prefer the unwavering chemistry between BBQ crispy skin and succulent meat, then the BBQ 3 Combination which consists of Roast Duck, Pork Belly and BBQ Pork ($23.80) will satisfy your craving for sure. 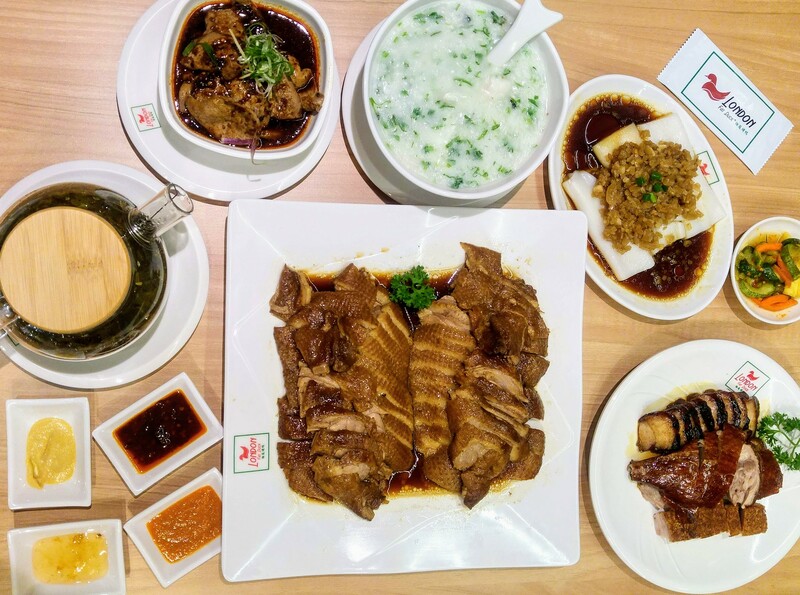 You may want to ditch the rice and go for the congee here. Automation is not all evil when it can ensure consistency and quality. Stirred for hours in the automated pot, what resulted is a thick, gluey congee that comforts the soul. 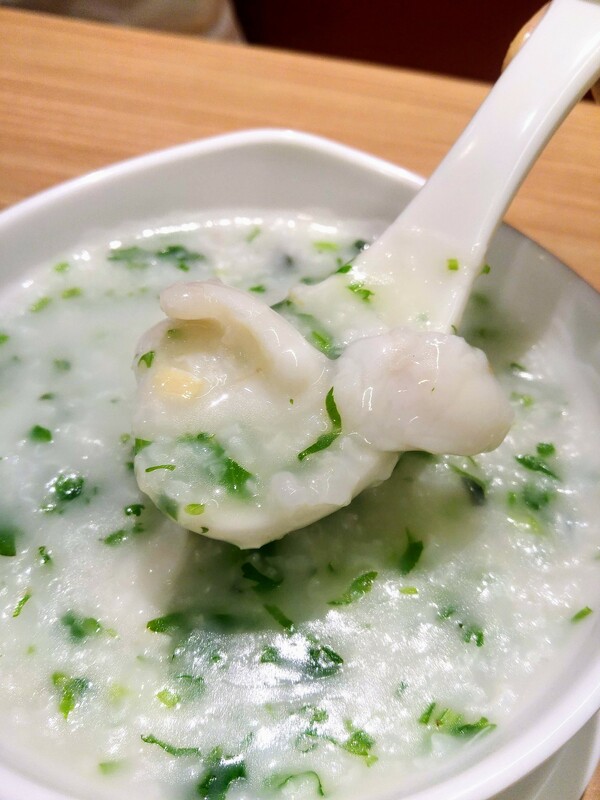 The new Coriander & Fish Congee ($8.50), i would say, steal the show, not because I love coriander but it's really how these 3 simple ingredients can create such a comforting taste without a hint of pungency. 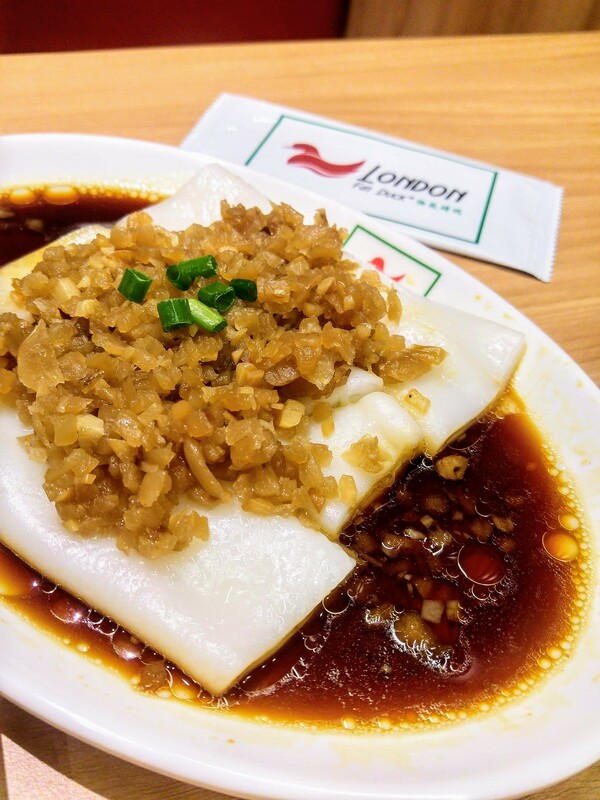 Steamed Cheong Fun with Preserved Vegetables ($5.50) is also another dish that reminds you of comfort food. These humble chai poh spiking the soft, slippery cheong fun boosts the same flavour of our Chwee Kueh but with a slight difference. 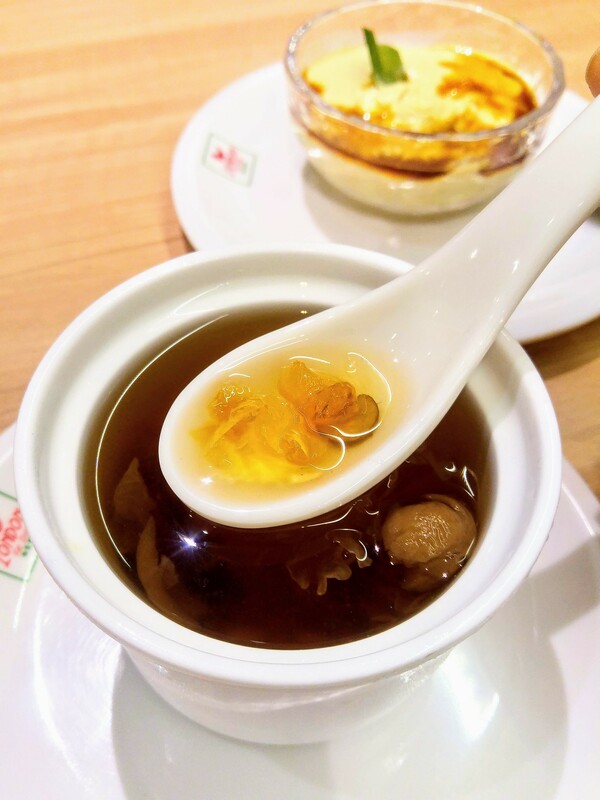 The chai poh used is the sweet one to balance the savoury light soy sauce. 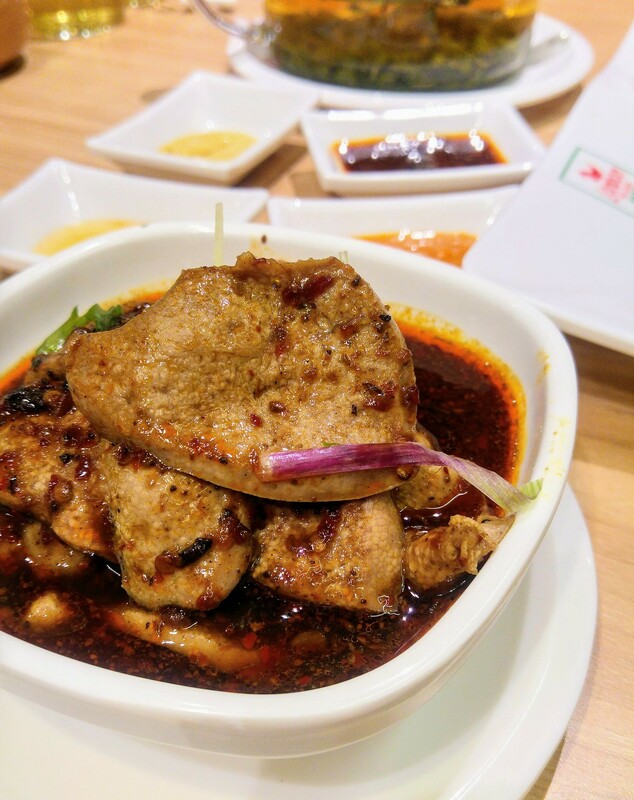 An interesting side dish to share would be the Mala Poached Pig Liver ($9). Though the mala is not the authentic Sichuan type that numbs your taste buds, I like the tanginess of it. It helps to cut the gaminess of the liver. For dessert, our local favourite Durian Mouse is available but I reckon it will be too cloying after such a meal. I prefer rounding off the meal with the Double Boiled Peach Gum with Dates ($5) which is both refreshing and nourishing.